The Scorpion fs 26 S-Pedelec comes with an electric motor that allows it to achieve speeds for up to 45 kmh or 28 mph. Its power is provided by a 48-volt Li-Mn rechargeable battery with a 423Wh capacity. 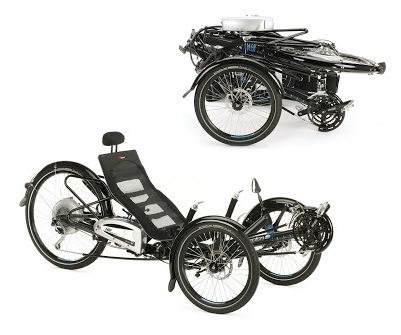 It also comes with hydraulic disc brakes, ergonomically designed recumbent seat as well as a folding design that allows users to easily store it in any available space in the home or office conveniently. The Scorpion fs 26 S-Pedelec electric trike is expected to be available sometime early next year at a suggested price of 6,990 Euros or around US$7,495. It is almost priced similar to a used car. But its advantage is that it only needs a five to six hours worth of charge and no worries about having to fill it up with expensive gas in order to run.